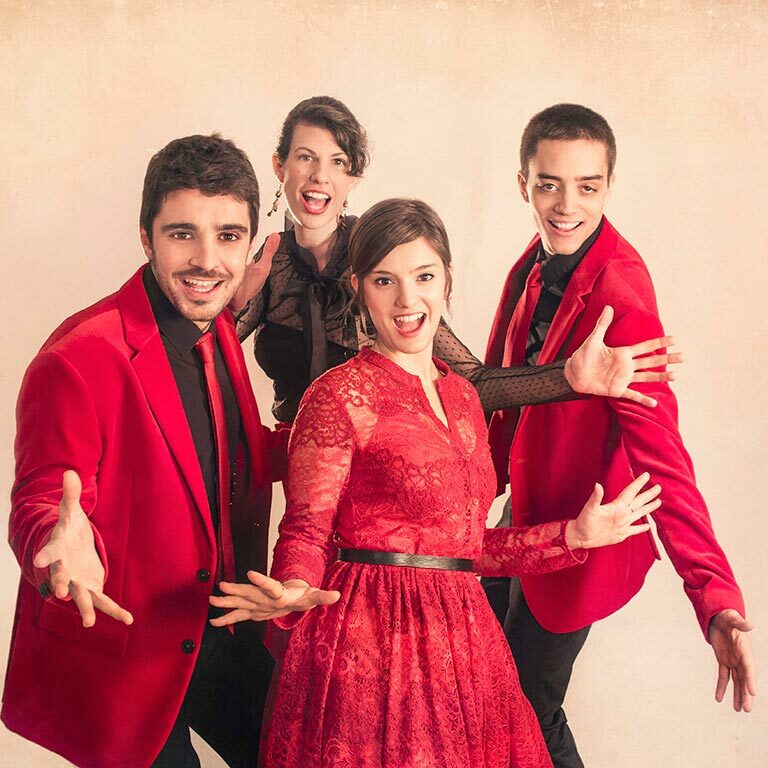 Quartet Mèlt is a young vocal group formed by four singers from different places in Catalonia united by the world of Catalan choral singing. Together they decided to undertake an exciting band project with the aim of enjoying music and transmitting it to everyone. The magic of Christmas, the cradle of the Quartet Mèlt, is to a large extent in the songs that explain it. Carols from here and from the other side of the world come together through the art of the great teacher Joan Albert Amargós who arranged them brilliantly. Quartet Mèlt presented in 2017 its first album entirely of carols with the name of "Xarrampim", this 2018 they want to bring it to all the towns and cities that want to celebrate a musical Christmas.